Wildlife park owner Christa Saayman was left horrified after six of her lions were brutally butchered for their body parts to be used in black magic rituals. Two white lions called Aslem and Aiden, who were a favourite for tourists, met a horrific death, as did brown lion Sussie, lioness Jessie and the two lion cubs. ‘It was only when the worker in charge of feeding the lions shouted in shock around 7am when he discovered the remains of the butchered lions in their compounds. ‘In 2017 there were 22 captive lions poached on farms where lions are used to being fed. In April lion park owner Gert Claasens, 48, had three of his lions butchered for heads and claws and three stolen to be butchered later in Petrus Steyn in the Free State. The following month Justin Fernandes, 32, had 3 lions and a rare golden tabby tiger killed by poachers at the Jugomaro Predator Park in Limpopo for their body parts. Christa, 55, who has a 1000 acre animal park which has 53 tigers and 10 lions along with 350 monkey and birds said:’We are trying to conserve and save animals. Predator park owner Christa Saayman was left horrified after six of her lions were brutally butchered for their body parts to be used in black magic rituals. Two white lions called Aslem and Aiden who were favourites with tourists met a horrific death as did a brown lion Sussie and lioness Jessie and the two lion cubs. “Colonel Moatshe Ngoepe said:”An employee noticed bloodstains followed by the gruesome discovery of four lions dead with their heads and paws chopped off. “The two lion cubs were also dead but with no missing body parts”. “In 2017 there were 22 captive lions poached on farms where lions are used to being fed. They are vulnerable and it’s an easy way to get your hands on lion parts”. Lion heads and paws are prized by sangomas – traditional healers – for practices known as muti. Last month two rescued circus lions released at wilderness sanctuary in the South African were found with their heads and paws cut off. Lieutenant-Colonel Moatshe Ngoepe told News24: “It is alleged that the farm securities who were doing patrols in the lion enclosures noticed that three lions were poisoned, killed and their heads and paws were removed.”The suspects in this matter are still unknown and there is no arrest. 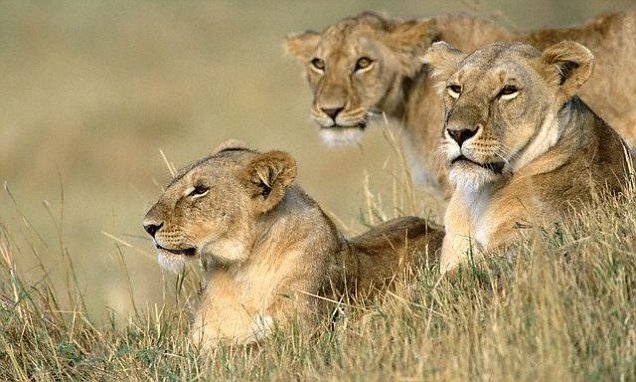 In January, three lions were found horrifically mutilated after a gang cut their way into Tzaneen Lion and Predator Park at Letaba River Lodge in South Africa’s Limpopo region. The British-based charity Lion Aid raised suspicions earlier this year that African big cats may also have been slaughtered for the Far East medicine markets where their body parts are also believed to have special properties. 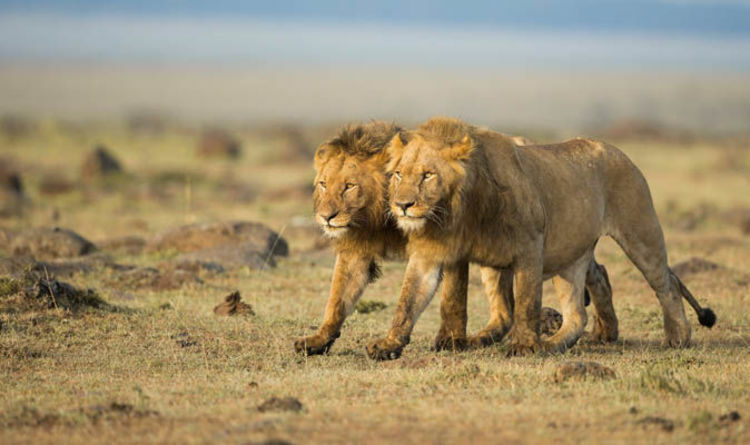 LionAid director Pieter Kat said the spate of recent killings had raised questions over why anyone would remove the lion heads and paws unless there was market. “We know that lion claws and teeth are sold as tourist items quite openly in Kenya local markets. We also know that lion claws and teeth are increasingly appearing in seized shipments of ivory on their way to China.”We all know that lion bones are increasing in value in Laos and Vietnam due to dubious value in so-called ‘traditional Asian medicine’ as replacements for tiger bones. Three lions have been found poisoned with their heads and paws removed for use in black magic spells in the latest attack by poachers in South Africa. It comes a month after two lions were butchered in similar circumstances by poachers who broke into the Emoya Big Cat Sanctuary in Vaalwater, northern South Africa. In June, male lions José and Liso who endured ‘hell on earth’ in South American circuses before being transported to a wildlife refuge in South Africa also had their heads and paws cut off in possible witchcraft-related killings. Lions are often killed in South Africa to create potions for the country’s witchcraft practitioners. While lion parts have long been used in some African cultures, conservationists have raised concerns that poachers are increasingly targeting lions because of demand in some Asian countries. African lion bones are a relatively recent substitute in tonics for the bones of Asian tigers, whose numbers were depleted by poachers.